Hi everyone! 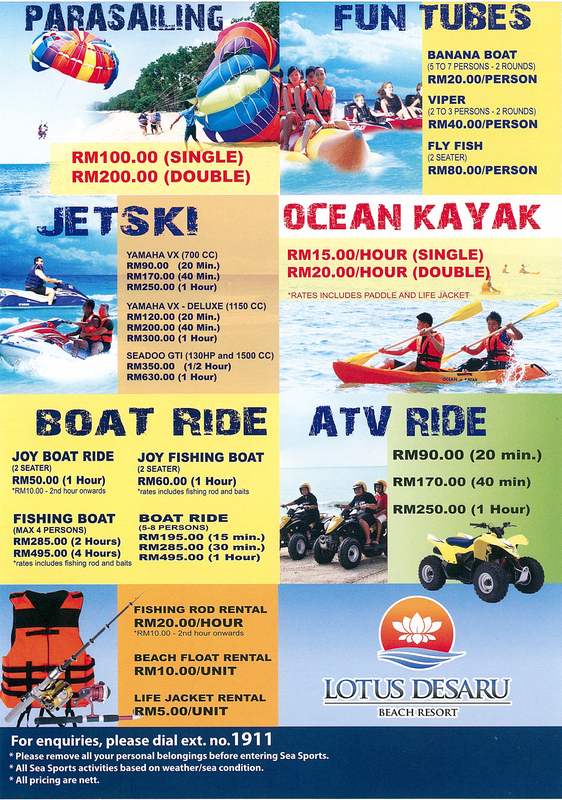 Still in the mood of school holiday or vacation? Or maybe in the mood of Raya this day? So whats your plan during Hari Raya? Anyone up for holidays in the hotel or maybe “Balik Kampung” but will check in to a hotel? Hence what kind of hotel you seeks for? For someone who have family and kids, I love a hotel that can brings so much fun for my kids. A 2 in 1 will be great for a holiday and your pocket right? A waterpark in the hotel is a hype nowadays because people do seeks for hotel that worth it for them especially the one with the children. 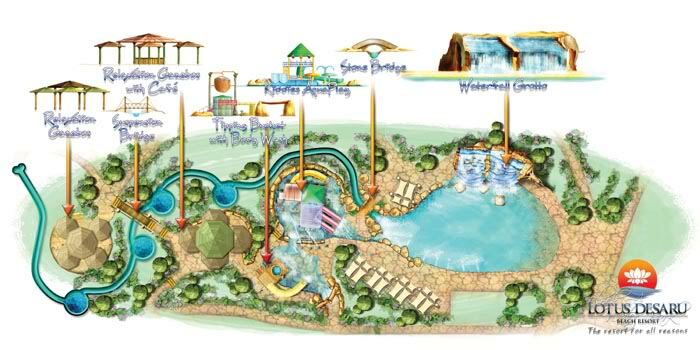 The waterparks activity can help parents to spend their time with their kids a one place without worrying to go extra mile during vacation. Before this my father used to bring us one family to Lost World of Tambun where there is waterpark at the hotel and I love the place so much. 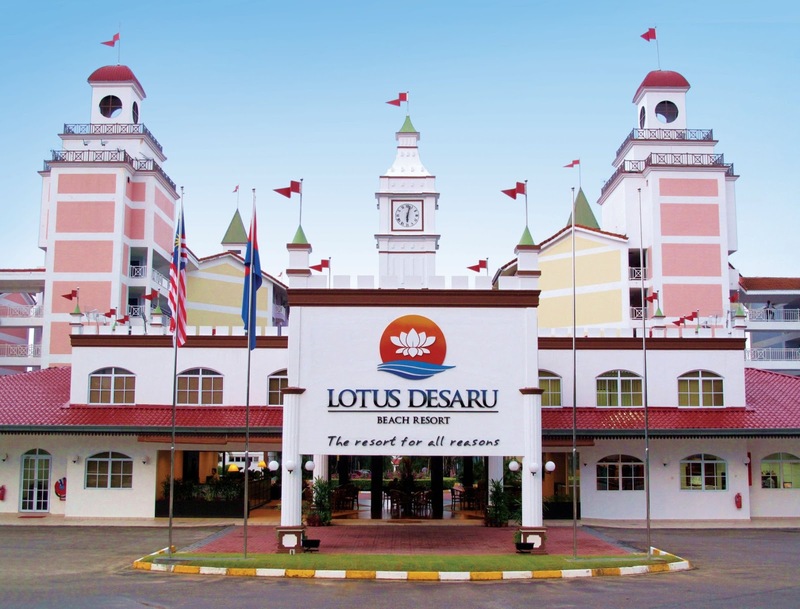 Recently I was suggested by a friend to Lotus Desaru Beach Resort at Kota Tinggi, Johor where they said also provide a waterpark in the hotel and it is by the beach. That’s sound interesting right? There must be a lot of activities we can do at one place. "The resort for all reason". 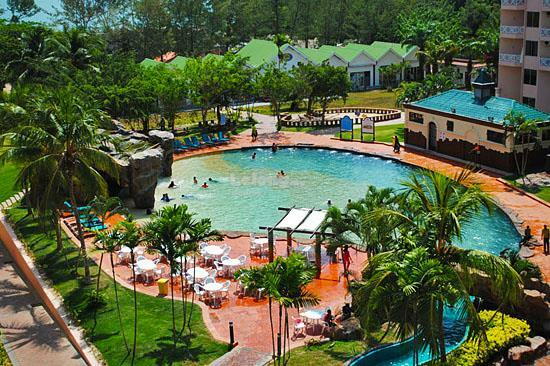 Lotus Desaru Beach Resort is surrounded with water; this internationally known beach is the most popular beach along the east-coast in the district of Kota Tinggi. It has a stretch of about 26km of pristine, white sandy beach and fringed with palm trees. Desaru, Johor is a popular beach resort and hence a major tourist destination in Malaysia.This is why you should totally book Lotus Desaru Beach Resort today. “Desaru” means “Village Of Casuarinas” or palms. A Malay word "Desa" which means village and “Ru” is the local name for Casuarinas. While Desaru may not be as secluded as it used to be, or as unpopulated, there is still an unspoiled and unmistakable pristine nature about the place. Its 22 kilometers of sand offer all the amenities or solitude anyone can expect, and an additional benefit of glistening waves on one side, and unspoiled jungle on the other. So, it does really a resort for all reason right? Aside from this, they also have expanded their facilities to create more fun and activities for the guest. The 14 acres of Team Building Park, takes your pleasure in an all-out fun with full of adventure and education. Their team specializes in organizing team building activities such as water rafting, survivor experience, obstacle course, explorace, treasure hunt, paintball and more. For someone who seeks for adventure or love the nature, you can experience the nature of the forest with your friends with diverse tranquil activities such as bird watching, camping, jungle trekking and lake fishing. So woman like me loves to be pampered. A hotel with a spa will be an extra cool to be relaxing. In Lotus Desaru Beach Resort, you can be pampered with their "Lotus Suria Ayurveda Spa” that will rejuvenate your body, mind and soul. Thier Spa offers a unique blend of various treatments for the preservation of health and cure of diseases in a natural way that Ayurveda proposes. 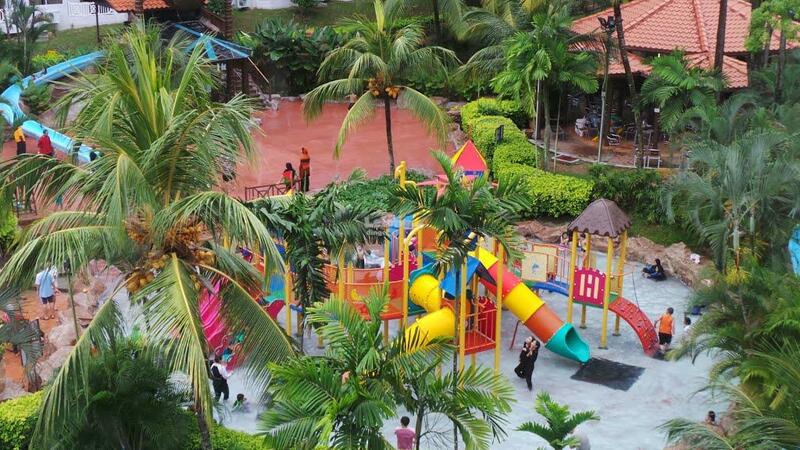 With all the great amenities and activities provided, one also cannot resist the temptation of Desaru pristine beach. If you like me, who are barely go to eastern coast, this could be a reason for us to go out from our comfort zone and try to enjoy the beautiful nature in Desaru. Yes, why don’t we go for a holiday in Desaru Beach Resort for the upcoming school holiday? So let’s plan ahead for the holidays and books your hotel online. There is amazing deals we can have here in Traveloka for Desaru Beach Resort and I will said it is affordable with all the activities and amenities provided by the hotel. Thus, let’s book your holiday now! Wow cantiknya tempat best lak tu boleh lah jalan2 sana..
Jauh bagi saya kalau nak pergi, kena rancang bebetul ..
our wishlist ni.. bila la dapat pegi..
hohhoho..very nice place to go vacation..
one day hopely can go there..
Sejak dah berumahtangga dan beranak pinak. Memang suka pergi bercuti yang ada semuanya dekat hotel. Waterpark, makan sedap dan bilik luas. Senang tak perlu pergi jauh-jauh. Mak penat. haha. Wah bestnya. Nanti la Ika datang dengan family. Dah lama tak bercuti bersama. wahhhh it is a REALLY NICE place for family trip!